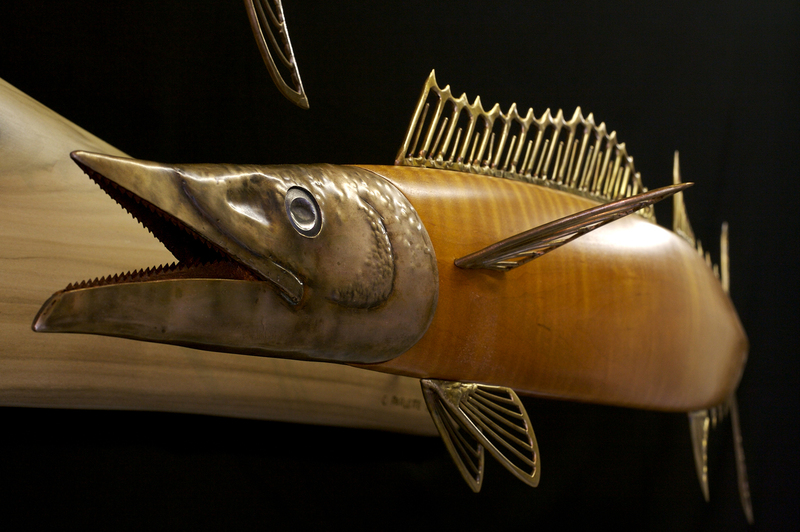 This piece captures the streamlined power and elegance of wahoo, which are among the fastest fish in the ocean. 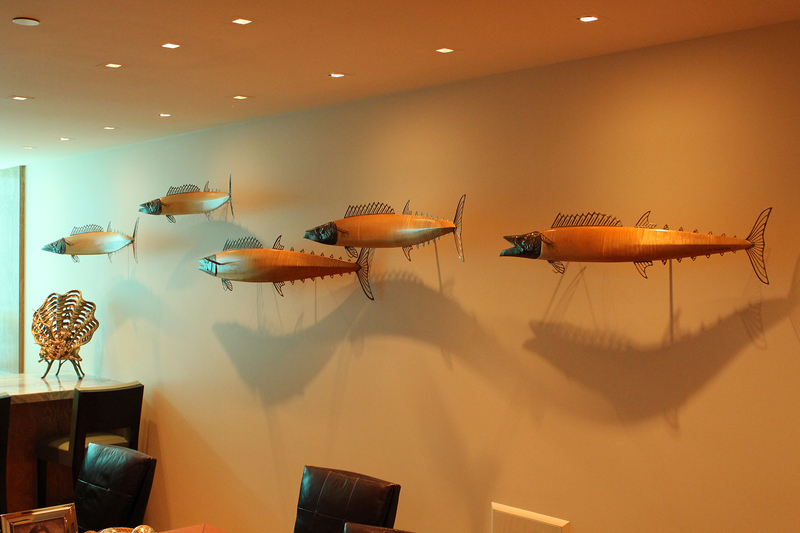 The bodies are carved of curly maple, which naturally has a tiger-striped patterning similar to that of a wahoo. 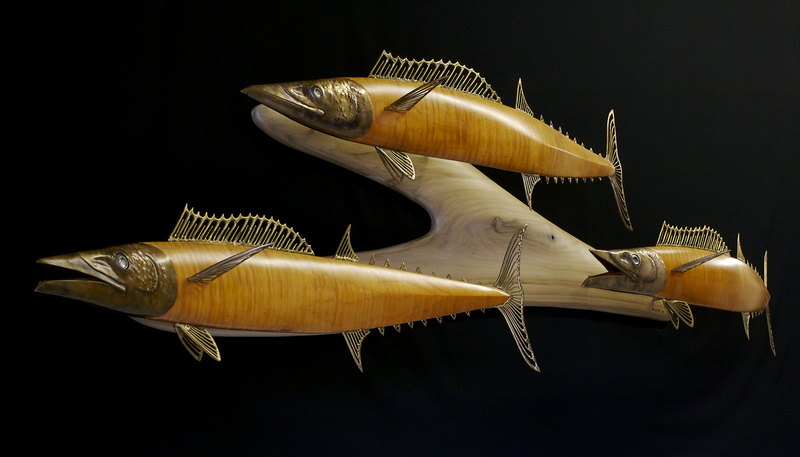 The maple was bent to create the flowing “S” curves that these fish demonstrate when swimming. The head is hammered and welded out of bronze with saw blades for teeth and polished stainless steel eyes. 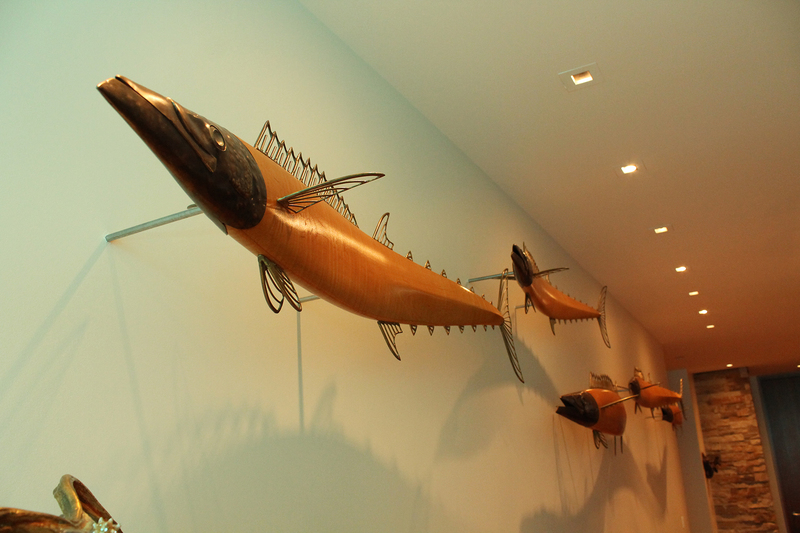 The fins are welded out of bronze rod.